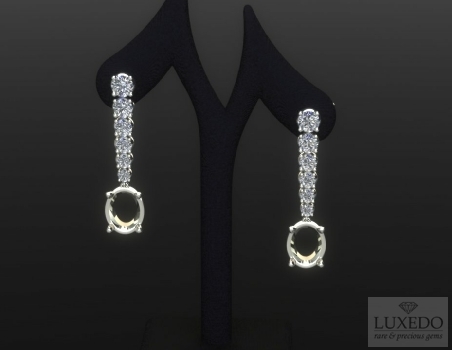 A refined degradè of brilliant-cut diamonds joined to a simple gold setting gives life to an elegant pair of pendant earrings. This setting is suitable for small and medium carat weight gemstones, of any cutting. The closure is available with pressure butterfly closure, screw or clip fastening.